Emergency services rushed to the scene yesterday and set up a cordon. 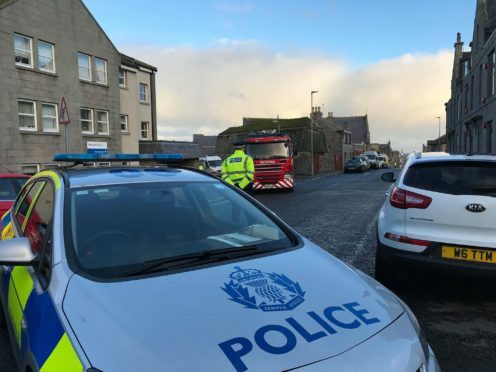 A 64-year-old man has been charged in relation to allegedly hindering and obstructing the emergency services following a call to a commercial premises in Fraserburgh. Police were initially called to Paddy’s Suds launderette on Frithside Street after receiving a report of a man experiencing an adverse reaction to an item received in a package at around 12pm yesterday. “Precautionary measures were put in place and it was quickly established that there was no threat to the public.